In response to Amm Samm’s last post, “visitor” raised a number of interesting points, one of which I wanted to use the opportunity to quickly highlight. This is something that I have to admit that I have also been guilty of, complaining about the absence of metrics of PREVENT without necessarily offering any solutions. Consequently, I will use this opportunity to sketch out some thoughts I have been recently having on the topic (Amm has some coming up too I believe). On the one hand, it should be quite easy to measure success: no terrorism attacks means the strategy is “preventing” terrorism. But how do we know whether what we are spending public money is actually having an impact and it is not other factors? This is important if we do not simply want to be throwing money away. One solution that has been offered is to calculate the amount of good that groups receiving Prevent funding are able to do in their community: are they helping kids, providing useful local social functions, etc. A police view that I have instead heard is that success in Prevent is measured by the amount the community trusts and engages with them – are communities coming forwards to offer information on people unsolicited? Are traditionally more sceptical communities using local social services, and thus “trusting” the system and becoming more engaged and less alienated? But while both of these sound like reasonable areas to use as a basis to measure success, it remains hard to know exactly how many terrorists have been “prevented” in each case for each pound spent. Also, it seems awfully unclear to me that either of these metrics is somehow evidence that the government’s strategy is in fact shielding us from the few individuals within society who choose to get involved in terrorism. 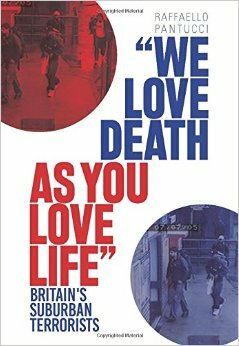 Without wanting to sound like I am throwing the baby out with the bathwater, maybe the root of the problem is that the scope we have defined for PREVENT is simply too large, and thus this is why we cannot find suitable metrics: maybe if we pared PREVENT down to simply being activity which pre-empts terrorist activity before it reaches the PURSUE stage then we might be able to measure success it in better. As I have said before, this does not mean stopping work being done under PREVENT, simply de-tagging it from security. Instead, let us have PREVENT be more intelligence based activity or strengthened (and targeted) social work, alongside efforts to actively counter the spread of radical ideas and breaking up groups actively recruiting people to go abroad to fight. While it will remain hard to calculate success (we are still after all talking about measuring something by its absence), it will theoretically be more tangible than the slightly abstract societal measures that are currently offered byNI 35. I look forward to hopefully having a conversation with people on this either in the comments or via email if you would prefer.